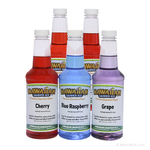 It�s safe to say that your shaved ice machine isn�t very useful without a variety of yummy flavored syrups. 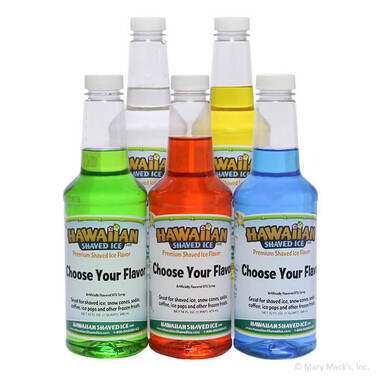 You may have a hard time narrowing down your selection to just a single snow cone or shaved ice syrup. 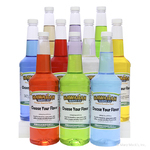 With this cool flavored syrup package, you won�t have to worry. Pick five flavors, choosing from our top ten syrups. 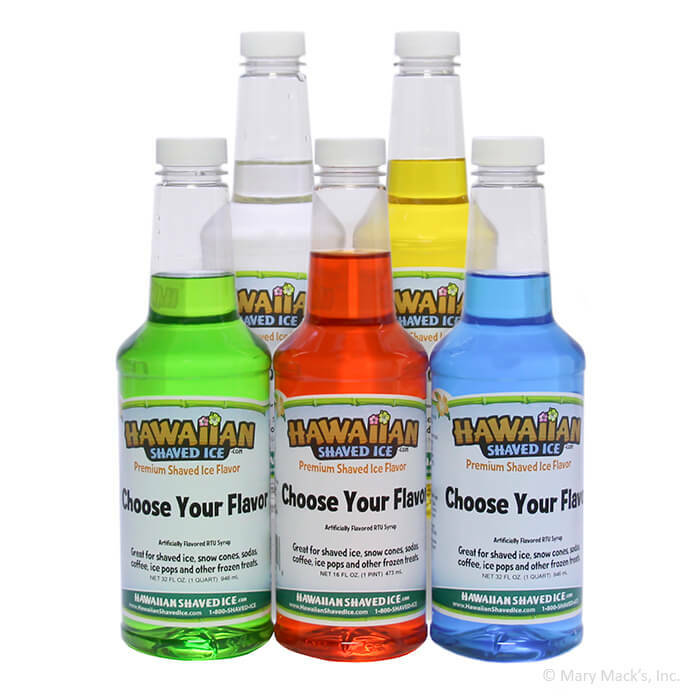 Enjoy the convenience of these five pint-sized syrup bottles with the superior quality that you expect from Hawaiian Shaved Ice. Skip the long lines at the neighborhood snow cone and shaved ice stand and indulge in your favorite treat whenever and wherever you like, from the kitchen table to the party table. If you would like just a few servings of each syrup flavor, then this syrup package is perfect for you. 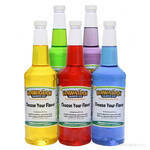 Get your fill today, and your scrumptious set of syrups will be shipped the very next business day!